A new image has emerged that gives audiences a first glimpse at the comedic duo of Will Ferrell and John C. Reilly joining forces once again on the big screen, this time in Holmes and Watson. In Columbia Pictures’ film based on Sir Arthur Conan Doyle’s famed Sherlock Holmes stories, Ferrell portrays Sherlock Holmes with his trusty companion John Watson (Reilly) by his side. The image, posted in an article by Entertainment Weekly, reveals both men dressed for the occasion and sporting traditional 19th century garb befitting of the time period. Additionally, Ferrell dons the familiar Deerstalker cap and smoking pipe synonymous with Sherlock Holmes. Audiences have longed to see the acting duo back together for another adventure since the release of Step Brothers ten years ago. 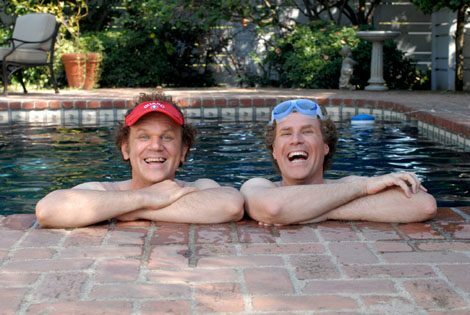 They first combined their comedic talents in Talladega Nights: The Ballad of Ricky Bobby in 2006 playing rival race car drivers. Fans also saw the twosome reunite in 2013’s Anchorman 2 when Reilly made a brief cameo. While both actors have been busy with solo projects, fans will finally see these funnymen back in action later this year. Since Ferrell and Reilly will likely play to their strengths and take the film in a more comedic direction, Holmes and Watson will present a fresh viewpoint that has yet to be seen. Recently, stars Robert Downey Jr. and Jude Law played Holmes and Watson on the big screen, while Benedict Cumberbatch partnered with Martin Freeman in the BBC’s Sherlock to explore the more serious side of the Sherlock Holmes stories. With Ferrell and Reilly leading a stellar cast that includes Ralph Fiennes as the dastardly Moriarty, and Kelly Macdonald portraying Mrs. Hudson, Holmes and Watson promises to be an innovative and entertaining experience. Look for Holmes and Watson to hit theaters on December 21, 2018.